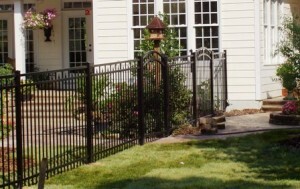 Raleigh fence company and Raleigh fence contractor Rome Fence Co., has been providing homeowners and businesses with “A Better Built Fence” since 1997. 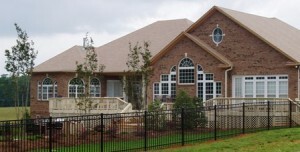 We are a family-owned and operated business only employing our full-time Raleigh fence contractors and builders. Kevin Rome, owner of Rome Fence Co., is on site each day, ensuring your fence is completed on-time and meets his personal standards of excellence. 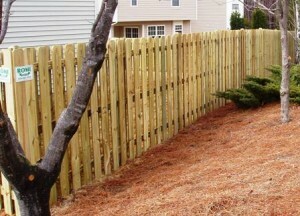 We guarantee our work for three years and don’t hire sub-contractors, cheap labor or independent Raleigh fence contractors. Your ornamental Raleigh aluminum fence, iron fence, wood fence or chain link fence is installed with the same attention to detail and customer service that we would expect. We provide a number of different fencing materials and solutions including home fences, pool fences and enclosures, ball field fences, dog kennels, pastures fences and we will even install arbors and trellises. Rome Fence Co. offers free consultations, three year labor warranties and will provide references from past customers at your request. At Rome Fence Co., we exceed our customers’ expectations through quality craftsmanship, exceptional service and competitive prices.